In this case, what usually happens is that you or TableScanTurbo, opens a table that goes to the monitoring/scanning slot, and after a few seconds gets closed. If you are experiencing this problem, please go to the folder located in C:/Hiroku-HardLog. Inside this folder you should look for pictures of the tables that are getting closed by Hiroku. If you found the pictures of your tables in this folder, it means that Hiroku is not being able to recognize the appearance of your table, and therefore closing them. 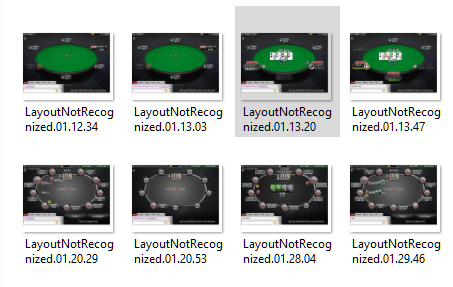 Note: In the case of the picture taken, you can see that the set theme is “Black” for Pokerstars, this DOES NOT mean that the table just looks black, but it actually corresponds itself with a sepcific table theme inside Pokerstars with this name. (ie. Nova theme also “looks black” but would not work if you select Black in Hiroku). If you found the pictures in the fodler but are sure that the theme is correctly set in both Hiroku and the lobby, please contact support (skypeid: “hirokuscript”). 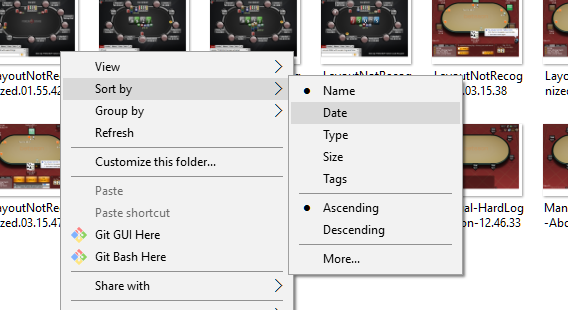 If you couldn’t find the pictures inside the folder, pay attention to the tables that are being closed (name, stake, game type, amount of players, has has not free seats?) and contact support with this information.